Meet Arty. He is a happy puppy. 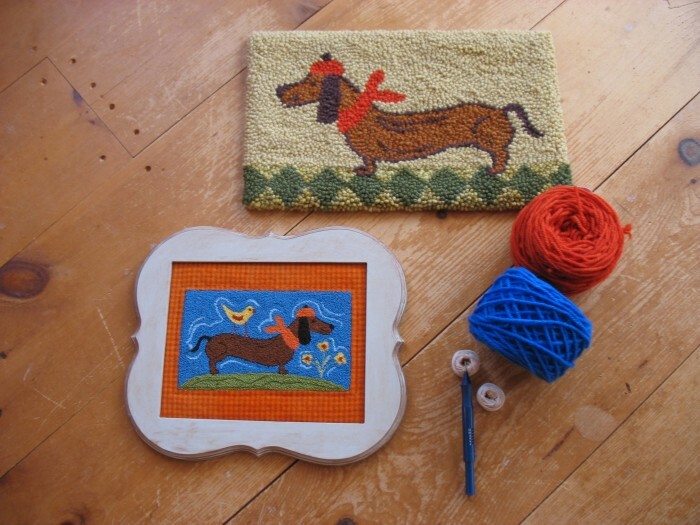 Our patterns are available as paper patterns so you can use them for mini punch needle embroidery, punch needle rug hooking and traditional rug hooking. We can custom size them for you too. We update our patterns often. Please contact me if you have any questions. Thanks!